After a long summer in the capital, al fresco dining is finally back on the menu. And we’re not the only ones who think so, as two stunning Yas Island terraces reopen in the coming weeks. It kicks off today, Wednesday October 18 with popular hotspot, Iris, which underwent a makeover during the hotter months. 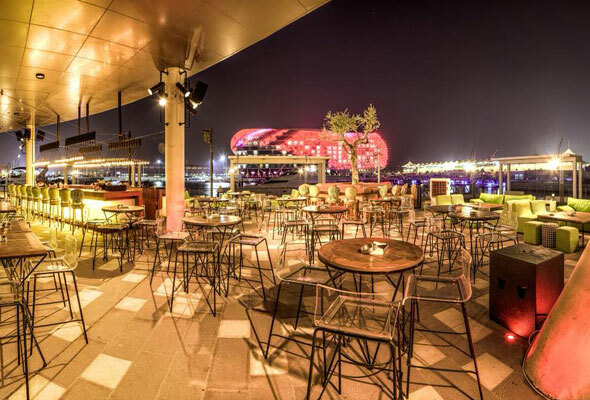 The Yas Island lounge and cocktail bar’s new-look outdoor area is kicking off with a new ladies’ night called HYVE. Running every Wednesday, the ladies’ night will offer girls three complimentary drinks from 9pm onwards, while serving up a deep house soundtrack spun by resident DJ Paul Svenson, who has played alongside deep house veterans including Virgil Abiloh and Black Coffee. This week, HYVE will also welcome special guest Stereo Express. The house night was first created at swanky nightclub White Dubai and went on to hold a residency at Irish Beach Club, so we’ve got big expectations. But that’s not all. On Sunday, October 21, a special edition of their throwback night, ‘Bring It All Back’ will feature a live performance by Marvin Moore, best known for his collaboration with Carlos Santana on the hit “Maria, Maria”. After it was released, the single was named the third most successful song on the Billboard Hot 100 and won a Grammy in 2000. Then in a couple of weeks, Iris will be followed by the welcome return of the Cipriani terrace on October 28. 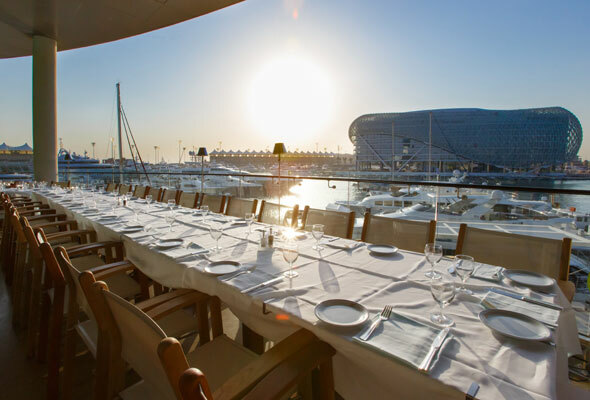 The upscale Italian restaurant boasts a stunning terrace, surrounded by some seriously impressive views of the Marina and famous F1 racetrack. With seating for up to 150, the terrace is popular for both guests looking for a hearty Italian meal, as well as some top sundowners overlooking the Marina. – For more about Abu Dhabi straight to your newsfeed, follow us on Facebook.